If you've ever thought about trying a detox program, summer is a great time to do so. It's the perfect time to hit the reset button. But don't just try the latest fad to detox. Many of these programs won't do you any good. At best, they're a waste of money. At worst, they can be dangerous. 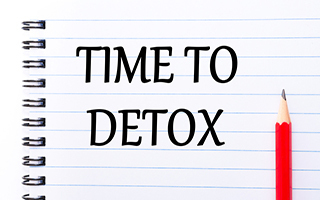 If you're going to detox, you want to be safe and get the most out of it. The solution is PectaSol. This is a supplement developed by Dr. Isaac Eliaz. It's made from the inner peel of citrus fruit. The citrus pectin is broken down into small pieces — small enough that your body can absorb them through the intestinal wall and into the bloodstream. PectaSol has several great benefits if you want to detox. The first is that it promotes chelation, which is the removal of heavy metals from the body. When you have heavy-metal toxicity, you may experience a number of symptoms, from chronic headaches to chronic pain to compromised mental functioning. PectaSol alleviates these symptoms by gently flushing out the heavy metals that have built up in the body. Second, PectaSol helps keep your gut healthy. Some doctors believe that nearly every chronic illness is linked in part to a leaky gut. PectaSol heals the walls of your intestines and can repair microscopic damage caused by toxic microorganisms. It's been clinically shown to provide relief for patients suffering from irritable bowel syndrome, Crohn's disease, and ulcerative colitis. It can even help provide relief to allergy sufferers. Finally, PectaSol can track down and kill cancer cells. Did you know that if you are over the age of 50, you have cancer cells somewhere in your body? You need to track those bad guys down and eliminate them before they become resistant to cell death. If that happens, the cancer cells begin to divide and form tumors or blood cancers. But PectaSol can help. One study found that adding PectaSol to prostate cancer cells grown in petri dishes, increased cancer cell death by 54%. Dr. Eliaz found that it was effective against breast cancer cells as well. PectaSol is both safe and powerfully effective. And that's a rare combination in a detox product. I've seen PectaSol have remarkable results, and you can experience them as well. If you're ready to hit the reset button and find out how much better you can feel with heavy metals gone, gut damage repaired, and cancer cells downregulated, now is the time to try PectaSol. You can order it by following this link.